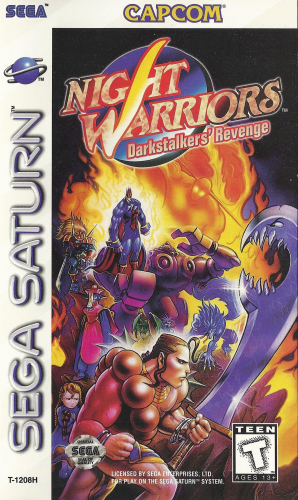 The Darkstalkers have returned, and they are looking to take back the night. Choose from 14 different characters, including two new ones and two bosses as you battle for supremacy. Each fighter has unique attacks and three levels of special moves that can be charged and stocked for later use. New features like auto guard and chain combos make the combat much more intense. All the action has been created with hand-drawn animation. 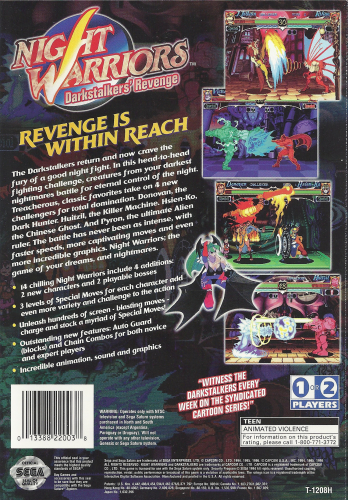 Reclaim the night in NIGHT WARRIORS: Darkstalkers’ Revenge.